PRINCETON, Massachusetts (WABC) -- Police in Massachusetts are looking for an SUV that was spotted near the scene where a New York City woman was killed while out jogging by her family's Massachusetts home last August. 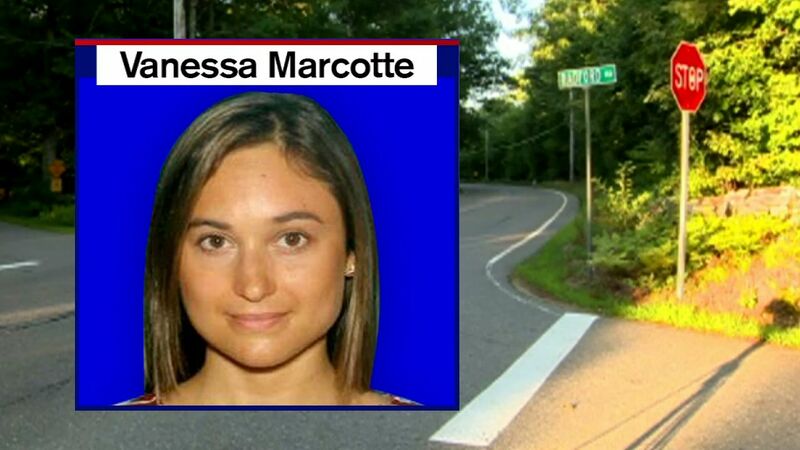 Worcester County District Attorney Joseph Early Jr. announced on Wednesday that witnesses reported seeing a dark-colored SUV parked on Brooks Station Road in Princeton around the time of Vanessa Marcotte's murder. The 27-year-old was in Princeton visiting her mother on August 7th when she went out for an afternoon jog and never returned. Her body was found later that night in a wooded area about a half mile near her mother's home. Investigators believe that she struggled with her killer and may have left "scratches, scrapes and/or bruises" on them. Marcotte was living in Manhattan and working as an account manager for Google. Anyone with information is asked to call the dedicated tip line at 508-453-7589.